IMPORTANT FOOTBALL DATES! 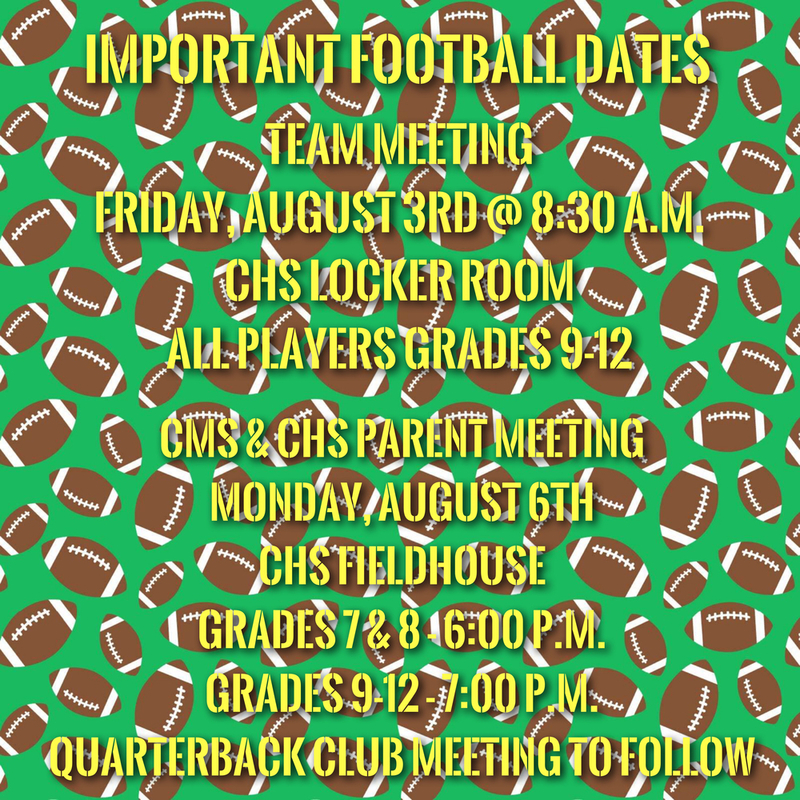 Team Meeting Friday, Aug. 3rd 8:30 a.m. CHS locker room all players grades 9-12. Parent Meetings Monday, Aug. 6th, CHS Fieldhouse, JH (7-8) @ 6:00 p.m., HS (9-12) @ 7:00 p.m. Quarterback Club meeting to follow.